There are so many amazing DIY dreamcatcher tutorials that are easy to follow and that also save you a lot of time. The dreamcatcher originated from Native American culture and it acts as a protector against bad dreams. 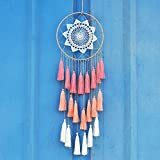 A lot of people look for original, creative DIY dreamcatcher tutorials so that they can decorate their house in a unique way. Check out the following tutorials that are meant to inspire you, save you some time and money, as well as help you practice different designs, have fun! If you have a romantic side, set it free by following this easy DIY dreamcatcher tutorial. You can enjoy a totally unique design just by following some simple steps. Who doesn’t love lace after all? You can use any colors you feel like when you choose a DIY dreamcatcher tutorial. The woven dreamcatcher might seem a tad complicated, but the truth is that this tutorial is as easy as pie. Check out here how to make it! Have you always dreamed of waking up in the morning in a bedroom that looks like the ones found in the magazines? DIY room décor will always be fun so why don’t you give this DIY lace doily dreamcatcher project a go? You can redecorate your bedroom exactly the way you want it to look, and for more amazing designs and ideas for decorating your room, you can check out this DIY mandala article. 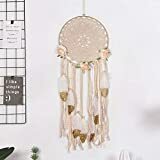 If you have some spare time that you wish to put to good use and if you have wanted a dreamcatcher for a while but you don’t want to spend a fortune on it, check this DIY dreamcatcher tutorial to see how easy it is to make a dreamcatcher on your own with just some basic supplies. If you have always wondered how to make a dreamcatcher, you should definitely check out this simple guide. 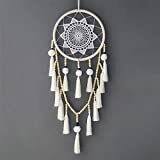 Moreover, if you’re into shabby chic, bohemian elements of décor, this dreamcatcher will certainly match your ideas and tastes. 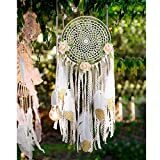 Therefore, if you have ever wondered how you can make a boho style dreamcatcher follow the below step by step video tutorial to make things easier for you. You can also do your own yoga mat. Some instructions in different DIY tutorials and projects can get a little too complicated. If you want to make a cute dreamcatcher and you’re looking for some clear and simple instructions, this video tutorial is one inspired choice. For other lovely decorative tutorials, you can try these DIY candle holders tutorials. 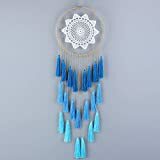 A minimalist dreamcatcher is not only easier to make, but it can also look strikingly beautiful. For this DIY triangle dreamcatcher, you will only need a handful of supplies, which makes the project suitable for kids. You can go creative and experiment with different interpretations of the typical dreamcatcher. So test your abilities when it comes to crafts by going for a heart-shaped dreamcatcher tutorial. You can also make this as a gift for your Valentine or a dear friend. If you want to distance yourself a bit from the traditional pattern of a dreamcatcher, make sure to check this tutorial out because it offers you useful info on how to make a modern dreamcatcher. Remember that a unique design will always be eye catchy. Now, this is one amazing mix of cultures, a Yin Yang dreamcatcher, why not? The video tutorial below is in Spanish, but don’t let this detail discourage you. 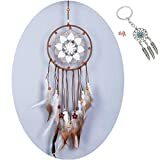 You can pay close attention to what the woman is doing in the video and you can definitely come up with an amazing dreamcatcher. 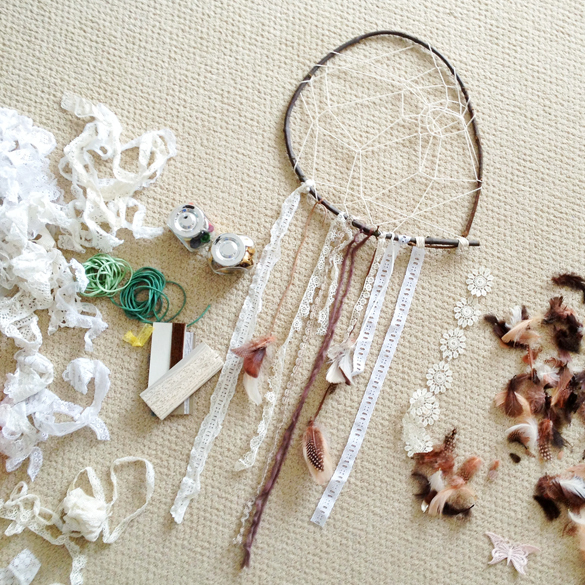 You can use so many different materials when it comes to creating a dreamcatcher. If you want your dreamcatcher to last, use wire when engaging in a DIY project. Moreover, this gorgeous looking dream catcher can be worn as a pendant. If you want to take things to another level and try a DIY dreamcatcher tutorial that will test your skills, this is a more complex pattern that you will learn when watching the tutorial. Make this lovely dreamcatcher by saving money and following some easy instructions. If you really find the original dreamcatcher patterns beautiful, here is a step-by-step tutorial that will teach you how to master the typical pattern of such a cool symbol. Also, if you want a fast and easy way to make a dreamcatcher, this guide will definitely make thing easier. 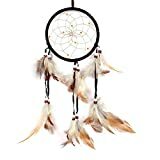 If you are tired of video tutorials that last for minutes on end, here is the perfect guide that cuts straight to the point, helping you make a lovely dreamcatcher. All you need to do is to buy some affordable supplies and engage in a cute project that will teach you how to create an amazing dreamcatcher. You can also play with DIY dreamcatcher tutorials and combine new ideas with old patterns. This DIY print dreamcatcher can be personalized in so many ways and it’s its versatility that people seem to love. 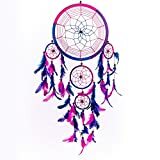 If you want a fast and simple way to make a dreamcatcher, this guide will definitely make thing easier. These DIY dreamcatcher tutorials are meant to make you use your creativity and skills to come up with some amazing designs. All of these projects save you money, time and you can get to decorate your bedroom using unique design and that is something really special. Want more ideas to customize your place? Here are 9 DIY room decor suggestions that are quick and easy to make.